DISCLAIMER BEFORE READING THIS POST: While I have a personal experience with HPBC during the 70s and 80s, my intention is NOT to say it was right or wrong or that the new format is right or wrong. This post is my personal experience based on one Sunday morning that my husband and I visited. If you are going to comment on the post, please keep it positive as I am not interested in starting a debate about styles, theology, etc etc. I am not judging the old or new church and I am not making any suggestions for how it should or could be – that is for the pastor and his congregation to decide. I have not received any comments on other posts until this one, so obviously people reading this have a personal history with HPBC and/or currently attend the new re-plant. Please note I loved my experience at the new church and wish them the best as they do what they feel led to do for spreading the gospel. Rewind 120 years. According to the history section of the former Highland Park Baptist Church website, a schoolhouse held their first Sunday School class and in October of 1890, the church was named Orchard Knob Baptist. In 1891, the church moved to the corner of Willow and Chamberlain and was renamed to Beech Street Baptist. In 1903, after outgrowing its building, a wooden frame building was erected on Orchard Knob and Union and again renamed to Highland Park Baptist. By 1922 the wooden frame was replaced by Phillips Chapel. Dr. Lee Roberson accepted the pastorate in 1942 and by 1947, the Chauncey-Goode Auditorium was completed with enough room for 3,000 people. Another auditorium was built in 1981 holding 6,000 people. Dr. Roberson resigned as pastor in 1983; Dr. David Bouler became pastor in 1991; and in 2008 a co-pastor, Dr. Danny Lovett came on the scene (HPBC History). 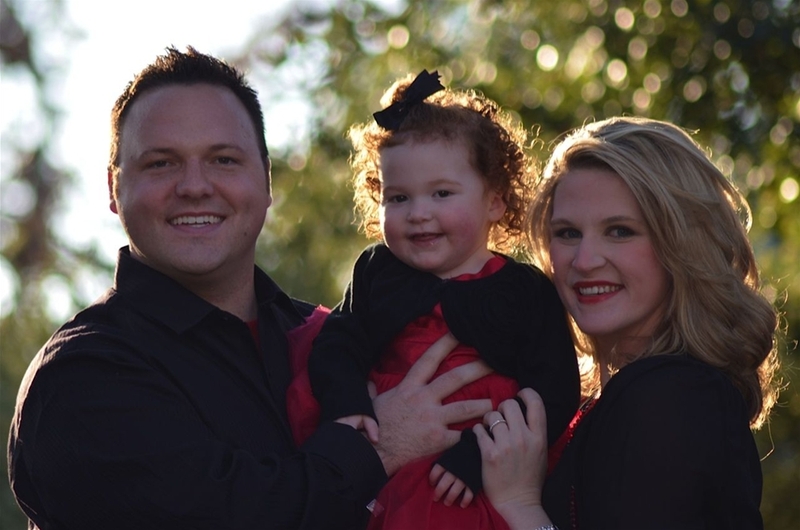 Dr. Jeremy Roberts became the pastor in 2012 and in September of that year, he cast his vision to the congregation to “re-plant a new, philosophically-progressive church in the Harrison Bay/Ooltewah community named ‘Church of the Highlands'” (The Highlands Vision). In 2013, Dr. Roberts moved the church to the former Camp Joy on Hunter Road off Hwy 58. The former buildings in the Highland Park neighborhood were sold to Redemption Point, which is a ministry of the Church of God. 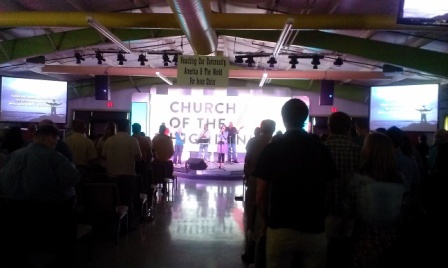 Currently, Church of the Highlands has approximately 400 members and is still growing and building. You might be asking – why the history lesson Ginger? Well, I attended Highland Park Baptist Church from 1976 to 1987, and I must admit visiting Church of the Highlands was a refreshing, yet nostalgic moment for me. Upon entering the parking lot, memories of Camp Joy Girls’ Week flooded my mind. As we walked Zoey to the children’s church (which is located in the renovated camp gym area), I had visions of girls running to the gym to play basketball. As I looked toward the hill where the stables were kept, I remember girls jog-walking to their favorite horse (we were told not to run up on the horses so as not to spook them). The softball fields were located on the other side of the gym and I could see girls wiping the sweat from their brows. Excited laughs and shrieks as girls took a dip in the pool could be heard echoing through the halls of my memory. Wooden benches, Bible verse team recitations, altar calls and dark nights spent in line at the canteen waiting on that much awaited snack before bedtime, while crickets and frogs sung us to sleep with their songs in the woods all played across my mind. Rewind to the 1970’s and 80’s. Red back hymnals. Standing on the Promises. Full choir and orchestra. Piano and organ. 6,000 people streaming through 10 separate entrances. Deaf interpreters. Sunday school. Sunday morning service. Training union. Sunday night service. Wednesday night prayer meeting. Mission conferences. Bible conferences. Christian elementary, junior, and high school with catechism and Bible classes. These were the things of yesteryear during the height of Highland Park Baptist Church. Fast forward to 2013. Hymnals and hymns have been replaced with a praise band and screens with lyrics streaming. Coffee station with doughnuts, padded chairs instead of pews, women and men both dressed comfortable-casual in jeans and khakis as well as a few dressed in their Sunday best. Even a few raised hands during worship here and there. Definitely not the HPBC I grew up in. It’s a new day, a new dawn, a new era. It’s smaller. More connected. The pastor seems to be connected with the people rather than [the perceived] separation by a massive stage and pulpit. A little more raw, a little more authentic. A desperation from some to experience God’s presence. They’re here because they want to be. Not because its required as a college student (or perhaps it still is – I haven’t researched the college connection to the church). I see all races and creeds worshipping together. As we finished the worship time and settled in for the service, the pastor shared his heart with us concerning women in ministry. That morning the regular worship leader was out of town and one of the women had led the music. While they don’t believe God’s Word teaches women should be in pastoral roles, the church does want to empower women to live out the gospel through ministry. Then Pastor Roberts began his message entitled “Does God Exist?” Romans chapter 1 contains answer to questions about God that Google just can’t answer. He said that according to a Gallup poll, 51% of the world believes in the existence of God and a great book to read about that is by an author named Robert Jeffress. He went on to challenge us to wrestle through our questions. Matthew 7:7 tells us to seek and we will find. He explained that those who have strong faith have equally strong doubts. He then addressed atheists. His guess concerning why a person claims to be an atheist is that perhaps they think people use God as a crutch and a superstitious friend you pray to to make you feel better. He wanted to use philosophy, science, and the Bible to discuss the existence of God this morning. The pastor explained that using just the Bible to discuss this issue with those who don’t believe in the Bible is circular reasoning and he wants to help them to consider there is a God who has made Himself evident outside of the Bible. 1. It’s part of the human nature to not believe God exists. He gave three examples: Exodus 34:5, “The Lord descended in the cloud and stood with Moses and proclaimed the name of the Lord.” The people still didn’t believe. Also, the people watched Jesus turn water into wine, raise Lazarus from the dead, and they still didn’t believe He was God. 2. Philosophy is used as another reason to deny Gods existence. The reasoning is if God exists, then why do bad things happen to nice people? 3. Difficult experiences are reasons people doubt the existence of God. 4. There are also spiritual reasons people doubt the existence of God. However, in Romans 1:18-20 God proves His existence through His creation. 5. Science is another reason some people deny Gods existence. Only 7% of American scientific professors believe God exists. Science is based on naturalism (assumes that nature is all there is and the universe is a closed system and if we can’t see it, it doesn’t exist). 1. Creation needs a creator. The only “big bang” this world will ever experience is when the heavens will vanish with a thunderous crash and all the elements, the earth and all its works will burn up by fire (II Peter 3:10). Eventually history as we know it will turn into eternity when God creates a new heaven and a new earth according to Revelation 21:1-5. 2. The universe is too intricate to not have a designer. The human body is an example. Our DNA is made up of 100 trillion cells. One cell is equivalent to 8,000 books of information. Moral law would be non-existent if there wasn’t a God. The odds of us showing up are incomprehensible. It takes more faith to believe randomness. In conclusion, you can take the chance on believing that God doesn’t exist and risk spending an eternity without Him in hell. It you believe, and make Him your Savior and Lord, He will forgive you of your sin and you will spend eternity with Him on the new earth that He creates. The pastor then invited people to accept Jesus as their savior and provided a standard altar call with the hymn, I Surrender All. He also encouraged baptism, and joining a church for accountability and prayer. The offering was taken up after the service with a short testimonial of what the tithe is and how the pastor pays his tithe immediately from his Smartphone the moment his check is deposited. Holy Holy Holy…is the Lord God Almighty Was the final worship song and it was evident the Holy Spirit was moving among His people. The prayer of one crying out to God was definitely not the prayers I grew up with and it was refreshing. It took me about a week to wrap my head around my experience here. Not because it was a bad experience – it wasn’t. But I am realizing that as time marches on, everything we build on this earth will eventually pass away. I suppose I am feeling a little disconnected because when I drive through the old campus, it is a ghost town compared to what it used to be. While Tennessee Temple and Highland Park Baptist Church were known as a megachurch for its day and time, sitting in the small space at its new location and in a new decade, I realized it had to morph into what it is today in order to reach a new generation. 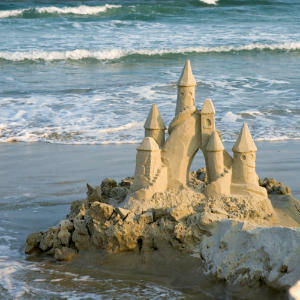 I was reminded that it’s ok to build your earthly kingdom, just be sure to live in it as if it were a sandcastle. Church of the Highlands is located at 6621 Hunter Road, Harrison TN 37341. 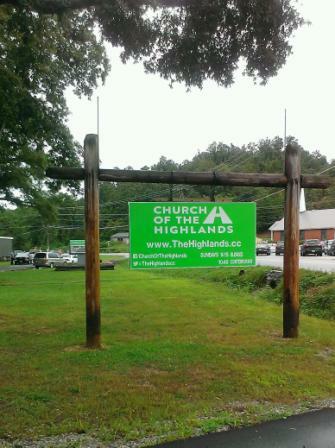 Their phone number is 423-493-4111 and their website is http://thehighlands.cc/. 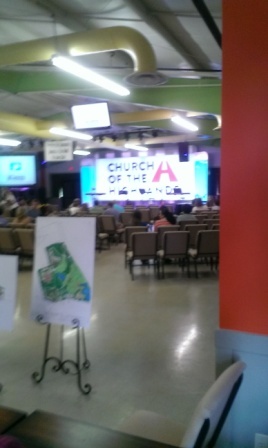 You can find them on Facebook at https://www.facebook.com/ChurchOfTheHighlands. Can’t make the service one Sunday morning? Watch it at http://thehighlands.cc/sermons. 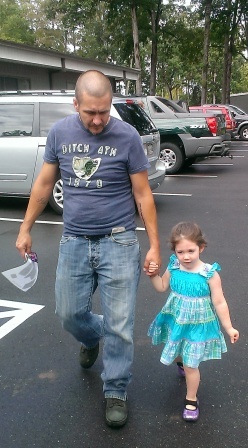 Dig deeper into the sermons by visiting the pastor’s blog at http://jeremyroberts.org/. They have student ministry on Monday nights and they still go out on Saturday mornings to knock on doors in their community and invite them to church. HPBC History. 2009. 23 Aug 2013 <http://www.hpbc.dreamhosters.com/about_history.php>. The Highlands Vision. 2012. 23 Aug 2013 <http://thehighlands.cc/vision>. Glad to read your thoughts Ginger. I agree that people can’t live in the past. Both era’s have their good points. I do regret that Dr. Don Jenning’s pastorate is not mentioned in the work you cited. I appreciated the ministry of him and his wife at HPBC …as well as the ministry of of the others. Hi Susan. Yes. Dr. Jennings was a blessing as well. And thanks for the reminder and kind comment. It may be a new day, but please do not imply that God’s Word is improved upon by adding philosophy and more science to make it relevant. 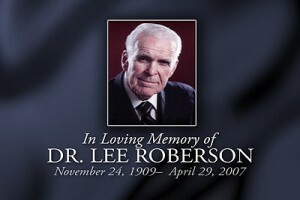 Dr. Roberson was not separated from his congregation by a stage and choir. His door was always open. The words of the songs in that old red hymnal STILL ministers to those of us who were (did you say “forced” ) to be there. I am happy that 400 people have a new better place to worship and can dress as they please; but please don’t denigrate the place and methods of worship that shaped those who are ministering worldwide to people who need Jesus so badly. Good reflection, Ginger. Thank you. I was a teacher and student there in ’70s and ’80s. Moved on, but still live in the area. Many people, especially young people, felt spiritually abused after having been at Temple back in the day. I think that was an overreaction–they chose to be there, so they would have been participating in their own abuse. Whether the leaders were good stewards of what they were granted to by God is another issue, and as you wrote above, this is not a place for debate, but reflection on your experience. It also was a place where we (should have) learned the Bible deeply, been given a global perspective, met great friends, learned personal discipline, and realized the diversity of the body. As long as Church of the Highlands remain doctrinally sound, the other issues are tertiary and mostly matters of personal preference. The church I attend pretty much runs the same way. I would take issue with some of the statistics cited above. I’m pretty sure more than 51% of the world believes in God, just not the Biblical God–Muslims, Hindus, etc. Also, more scientists than that believe in God, just not the way a Christian would. Thank you for your perspective. Yes some did feel abused and some of the children and teenagers did not feel like they had a choice. College students obviously did have a choice. Anyway, I am reminded of Romans 8:28 – God uses all things for good – so I know He has a plan for the old format and the new format. Both pointed people to Jesus, so that’s really all that matters. Also, the pastor supplied statistics from Gallup poll – I’m not sure what their criteria is – but they are just numbers. I think his point was we need to be ready to discuss the existence of God with even those who won’t allow you to mention the Bible – reach them where they are and use reasoning to help them question their beliefs. I loved my days at TTU and HPBC. I also LOVED being a counselor at Camp Joy. Your article made me SO excited. Your picture of the gym made my day. 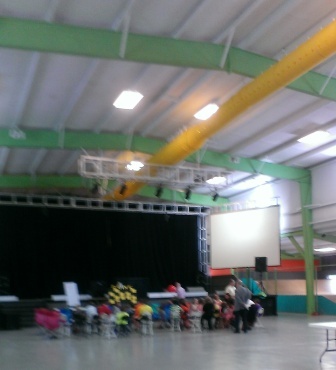 It looks great ready for Children’s church. Thank you so much for your excitement over the post. I loved my visit there – it just brought so many memories back to me and I loved being surrounded by all of them. I was at Temple/HPBC from 1978 on. Yes, many changes. Now I’m serving in the praise band you saw that Sunday morning at Church of the Highlands. I’m very happy. Gib. So glad you responded. I loves the music that morning. Especially the blend between new worship music and the old hymns. Thanks so much for your comment. The school and the church are no longer related.